COMPETITION Record Labels IMPALA, which represents Europe’s independent labels, has mounted a legal challenge to the BMG-Sony merger by launching a claim in the European Court of Justice (court of First Instance) in Luxembourg saying that the merger could have legal, cultural and political and economic implications and that the European Commission, which passed the merger, made mistakes when considering the merger and the implications it will have on the market in sound recordings. 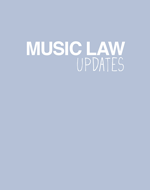 COPYRIGHT Record Labels, Music Publishers, Technology Consumers may soon be paying less for MP3 players after the Federal Court of Appeal ruled that special copyright levies applied to digital music players are not legal. A 71-page decision by Mr. Justice Marc Noël found that although the Copyright Board of Canada was seeking to protect music writers and performers from the “harm” caused by digital copying of music when it imposed the MP3 levies last December and that such a levy might be desirable, the Board did not have the legislative authority to do so. Canada’s Copyright Act gives the federal board the authority to apply levies on blank media such as compact discs and audio cassettes. But the wording of the act has not kept up with the new technology of MP3 players. In 2004 MP3 sales are expected to generate $5-million of the $25- to $30-million in levies collected for musicians. The levies range from as little as $2 to as much as $25 per device. The biggest charge is paid by consumers of the iPods, which have among the largest capacity to store music. In Canada, the $400 price tag for an iPod includes a $25 copyright levy….